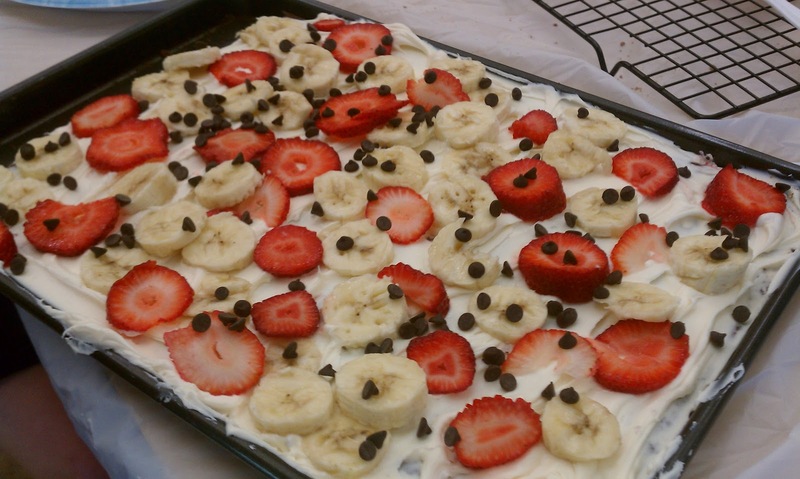 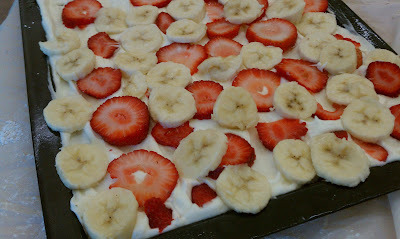 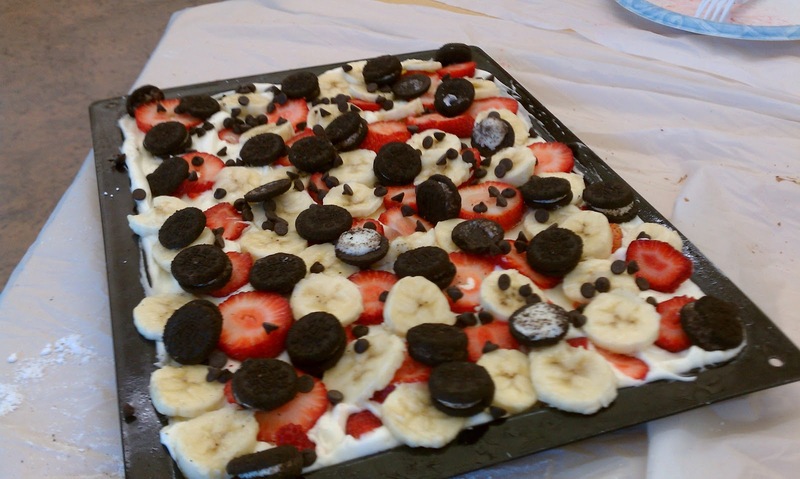 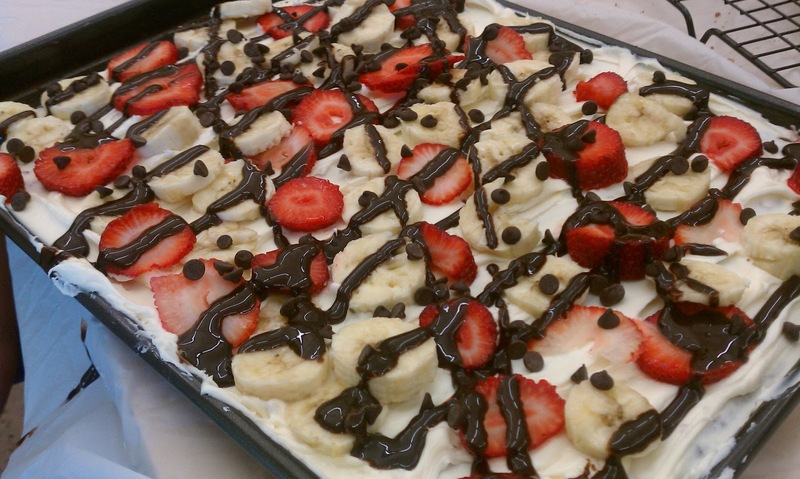 Banana Split Brownie Pizza! Fun for Kids! 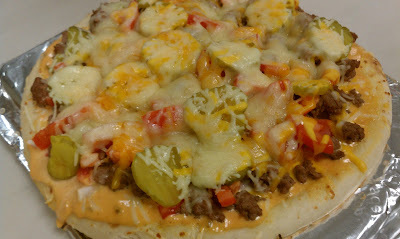 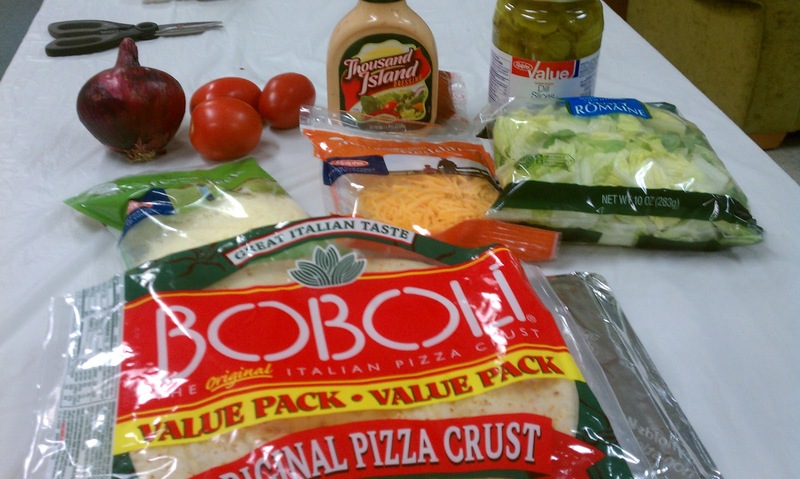 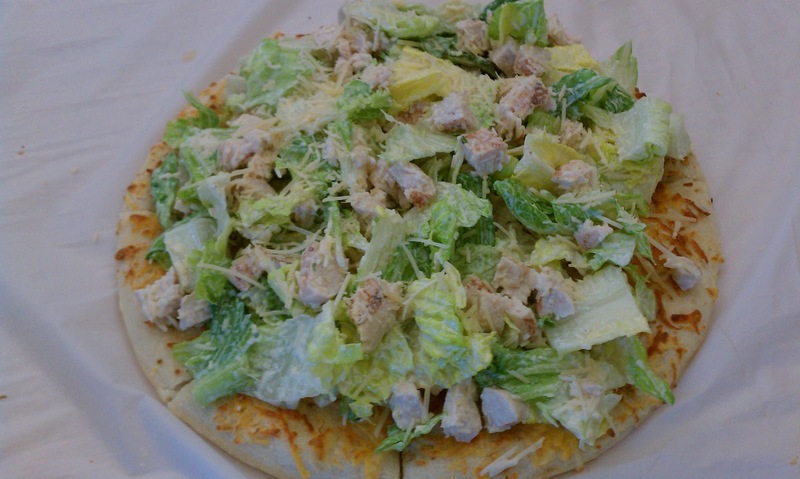 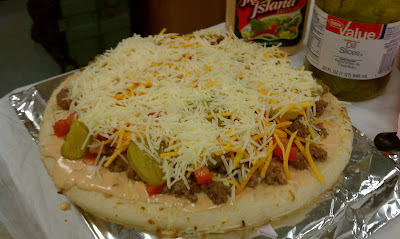 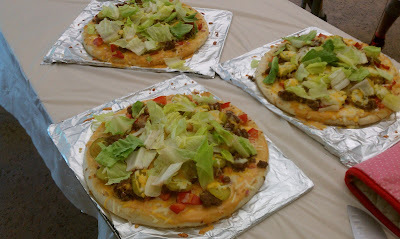 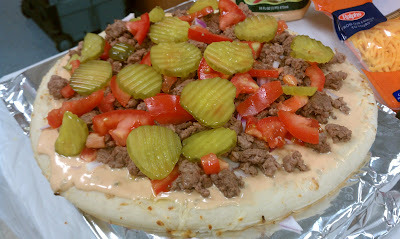 THIS IS AN EASY AND FUN RECIPE TO MAKE WITH YOUR KIDS!!! 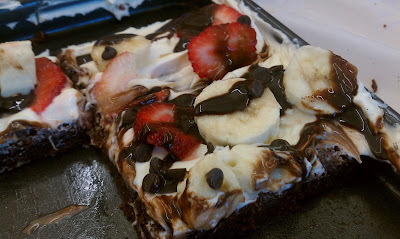 Banana Split Brownie Pizza or in other words CRAZY CHOCOLATE BROWNIE HEAVEN guaranteed to have everyone bouncing off the walls in no time! 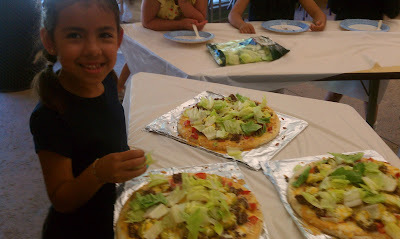 This is a fun idea for a kids birthday party or sleep over night! 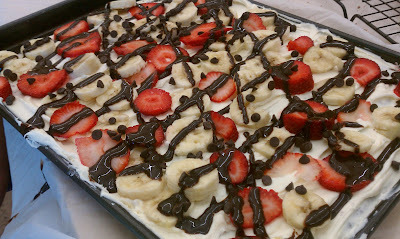 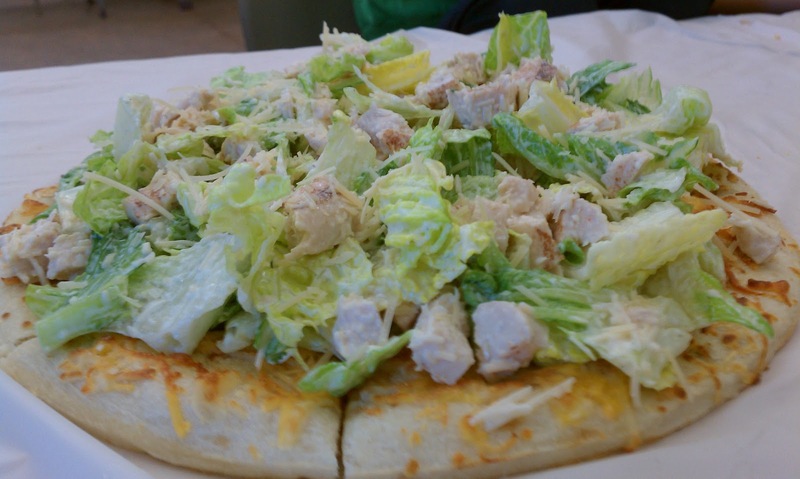 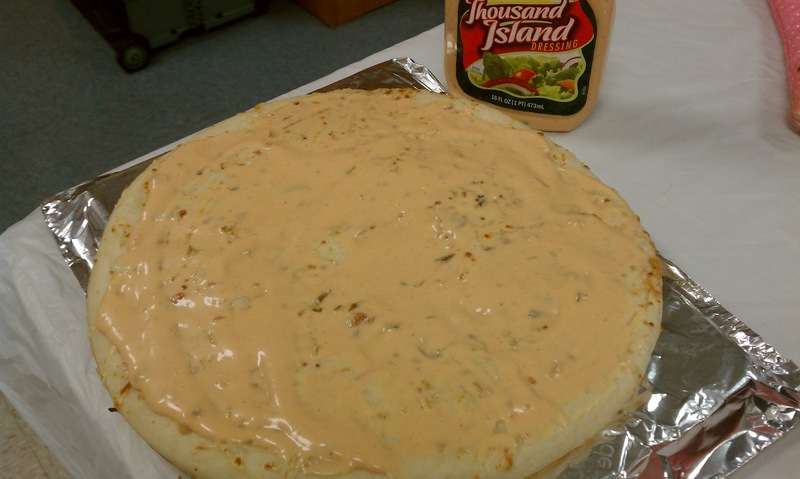 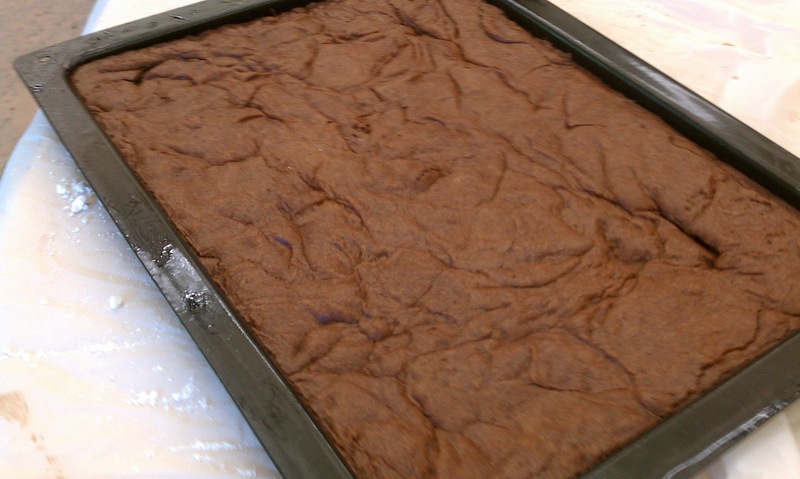 If you can handle it, serve with chocolate ice cream too, but it is perfect without it! Mmmmm.....this is good for grown up people too...especially when you are having a really bad day. 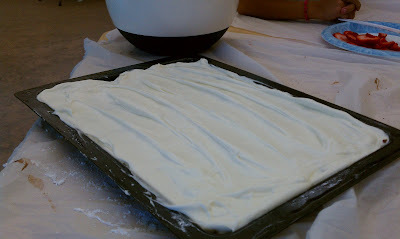 NOTE: The photos shown were taken from two different kids baking classes today so you might notice the difference in pans in a few of the photos! 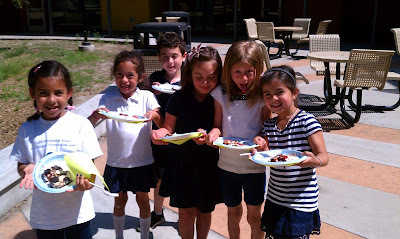 SHOWING OFF THEIR BROWNIE PIZZA! HOW CUTE ARE THEY? Check out my Kids Baking Party website here!! 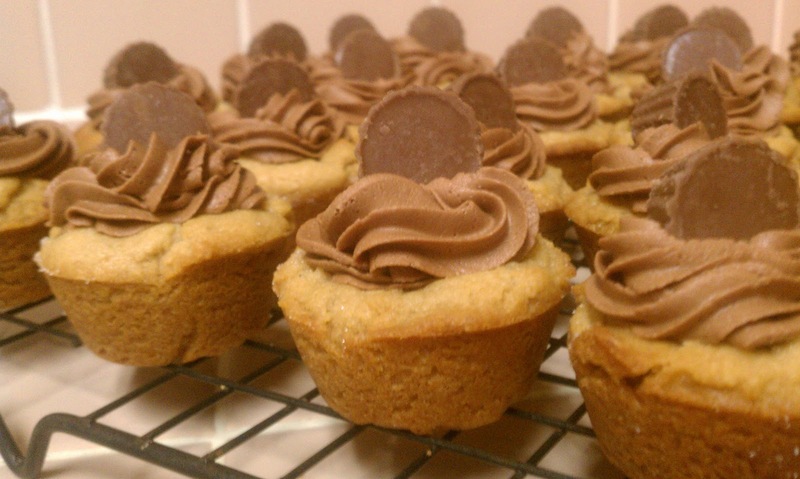 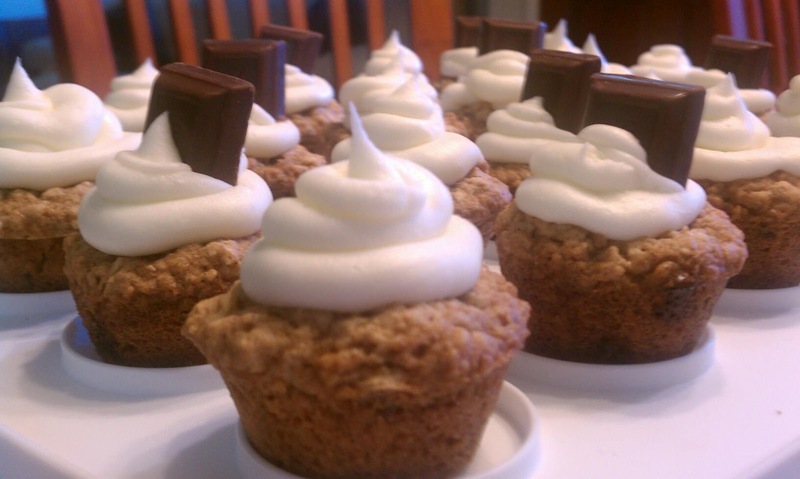 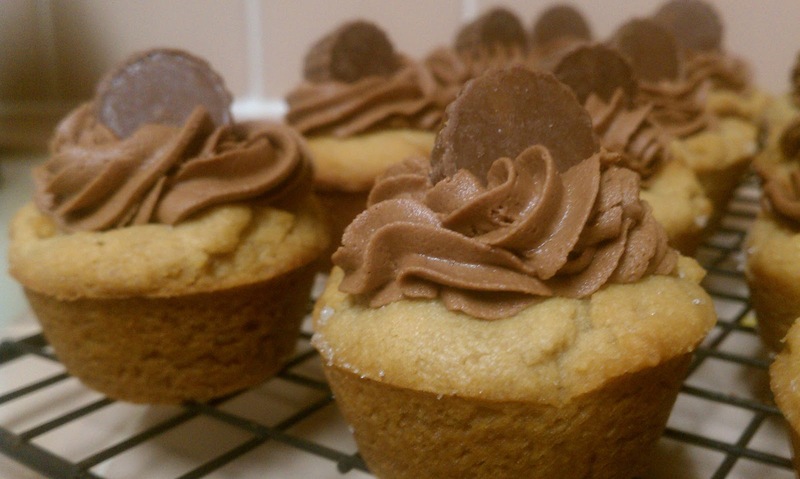 Ahhhh....Cookie Cupcakes! I have been on a Mini Cookie Cupcake with Buttercream Frosting roll lately! I never get bored with them! 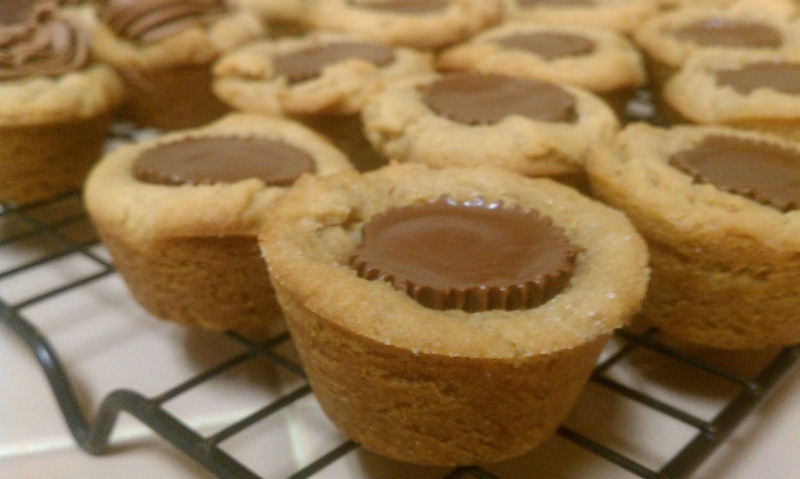 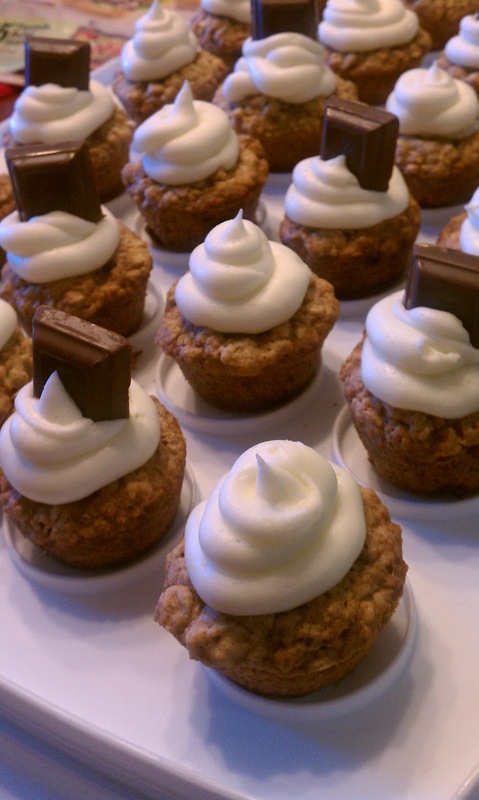 Not only are the easy to make, but they LOOK SOOOO CUTE and people just LOVE to eat them! 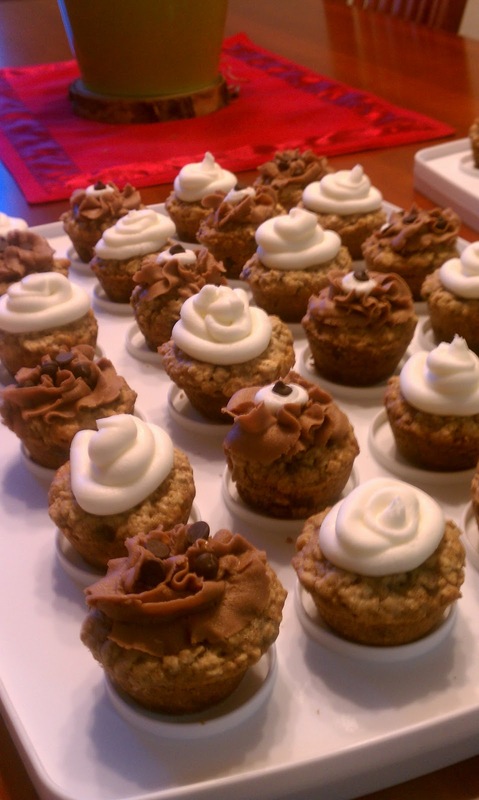 Here are some photos of my recent Cookie Cupcake Extravaganza! The texture of the cookie is perfect baked like this...nice crispy outside with chewy cookie on the inside! 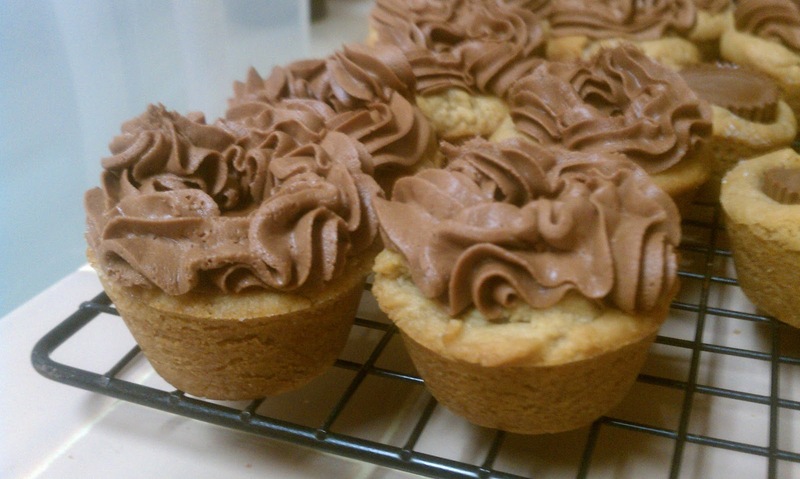 The frosting takes it over the top.